1.) Starting off wash and dry your chicken legs. Next peel away the chicken skin 3/4 of the way. Cut off the bone right next to the chicken skin. Cut out your chicken bone and throw it away. Slice up your meat into cubes. 2.) Add seasoning to your chicken meat. Continuing add mayonnaise and mix it around. 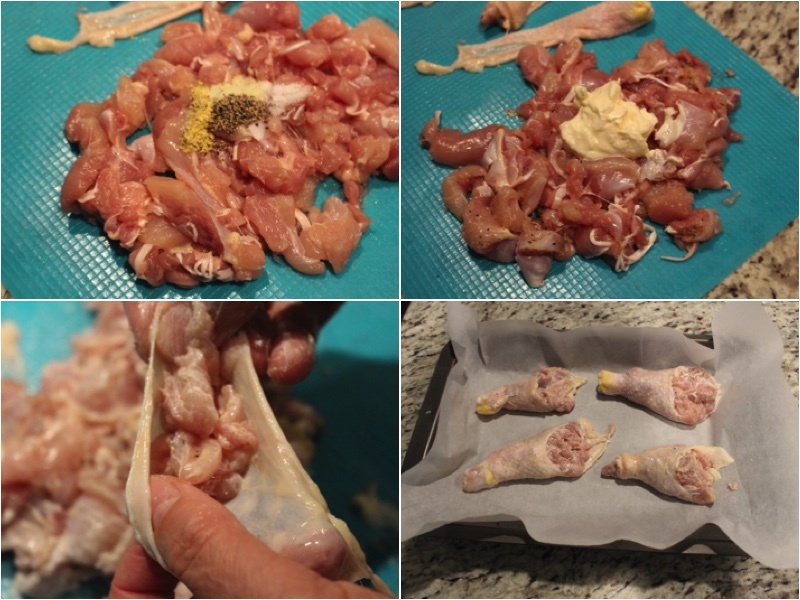 Take each piece of your chicken skin and refill it with your meat mixture. 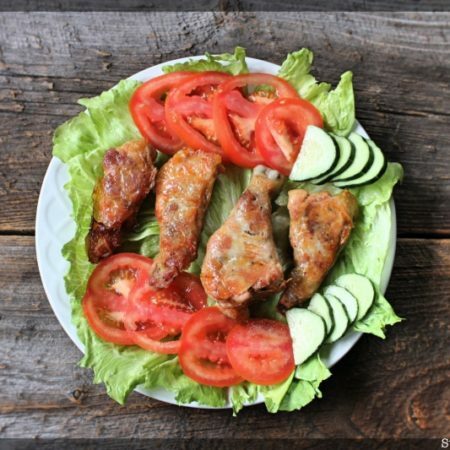 Place your chicken legs on a pieces of parchment paper and then on a baking sheet. 3.) 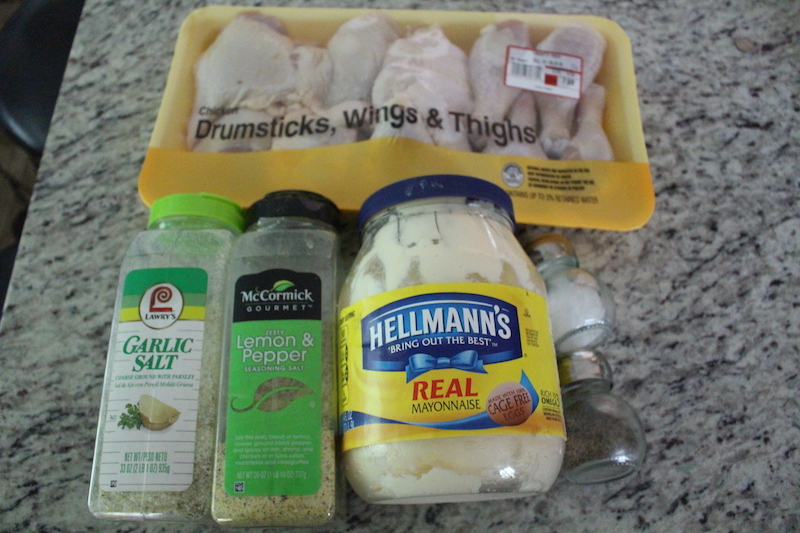 Coat the tops of your chicken legs with mayonnaise and then cook for 45 minutes on 375ºF. Place on a serving dish and enjoy. Starting off wash and dry your chicken legs. Next peel away the chicken skin ¾ of the way. Cut off the bone right next to the chicken skin. Cut out your chicken bone and throw it away. Slice up your meat into cubes. 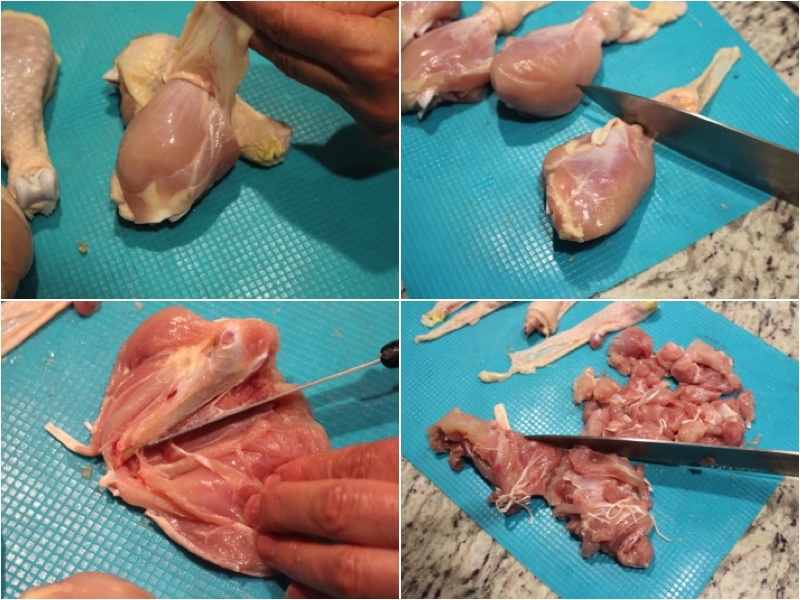 Add seasoning to your chicken meat. Continuing add mayonnaise and mix it around. Take each piece of your chicken skin and refill it with your meat mixture. 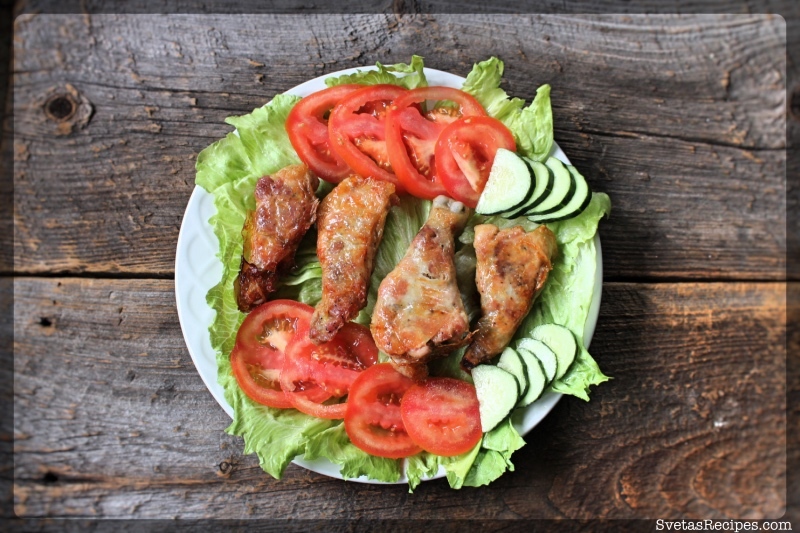 Place your chicken legs on a pieces of parchment paper and then on a baking sheet. 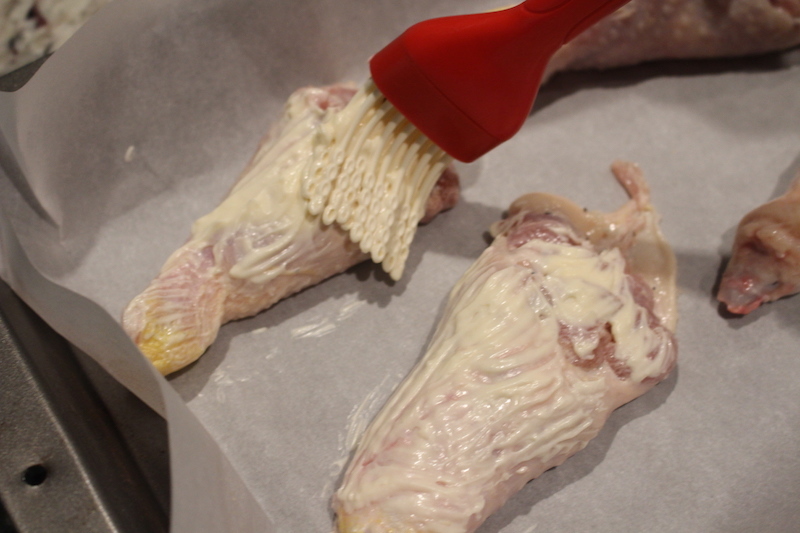 Coat the tops of your chicken legs with mayonnaise and then cook for 45 minutes on 375ºF. Place on a serving dish and enjoy.